When it comes to event planning, your event budget is usually pretty important. In 19 years of running my own event planning agency, I’ve yet to have a client tell me they had an unlimited budget, so go wild. That never happens. It doesn’t matter if it’s a conference, one-day workshop, fundraising gala or a networking event for 30 people, there will most likely be a budget in place that needs to be strictly adhered to. I’m pretty passionate about event budgets and I’ve written a number of blogs about event budgeting because it’s that important. 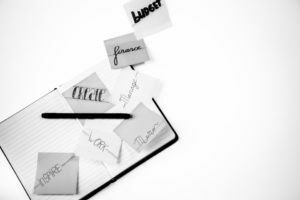 If you need budget help, please check out my budgeting tips on the iSPARK blog. 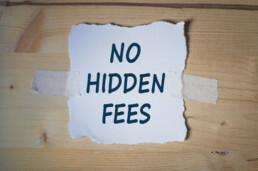 In the meantime, let’s talk about how to avoid hidden event fees (aka extra charges). I’m referring to those pesky levies that get tacked onto final invoices and can potentially derail your event budget in the final hours (or post-event when it’s too late to adjust). Event venues tend to have lots of inconsistencies when it comes to what’s included and what’s an ‘extra charge’. I’ve run events at hotels that are happy to offer up coat racks, easels and flip charts when you need them – no charge. At other hotels, these exact same things may come with hefty fees that will be thrown onto your final bill. I had one experience where a hotel was charging for use of the loading dock and to turn on the escalator in one specific section of the meeting space. 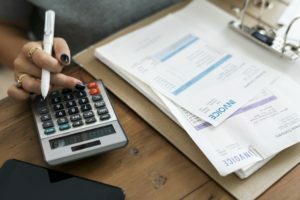 To avoid extra charges like these ones, event planners have to: a) Be careful – don’t assume b) Ask a lot of questions Recently, I brought a new member of my team along with me on a site visit to an event venue. During the walk-through, it came up that the event colour scheme was green and white. The venue rep said “We could do green table cloths in here – that would look amazing”. These were his exact words – ‘we could do ….’ Fast forward to one month before the event when we’re in the middle of a meeting to finalize the event décor, and my colleague asks why I’m renting table cloths when the venue has green ones available at no charge. I remind her that the venue didn’t actually tell us they had them and they didn’t mention they were free. She insisted that I had most likely misunderstood. So, I emailed the venue rep to clarify: a) Did they own green table cloths?b) If they owned them, were they free?c) If they didn’t own them, were they bringing them in for our event?d) If they brought them in, did I have to pay for them? So, you can guess how that played out. No green table cloths. You see, the venue rep was very careful in how he worded that comment during the site visit. A rookie planner may have assumed the offer of the table cloths was a freebie and then the rental for those would’ve appeared as an extra charge on the final bill. Extra charges can also come in the form of admin fees, service fees, taxes and gratuities and so much more. Extra charges can really do some damage to your event budget, but also make things unnecessarily complicated on the logistics side of things. If you care about your event bottom line be wary of extra charges and hidden fees and don’t hesitate to ask lots of questions and clarify what’s included and what’s not. I’m ranting all about how to avoid hidden fees in my 2-part vlog series on extra charges. Watch part 1 and part 2 on my new YouTube channel. For more tips, giggles and everything in between, click here.